Alhamdulillah, my experience at UCLA this year has been incredible thus far. Shaykh Jamaal and Shaykha Muslema laid out a strong foundation for the chaplaincy program at UCLA and I have thoroughly benefited from the various pre-existing relationships that they have established with the students, administration, MSA, and other faith chaplains at UCLA. 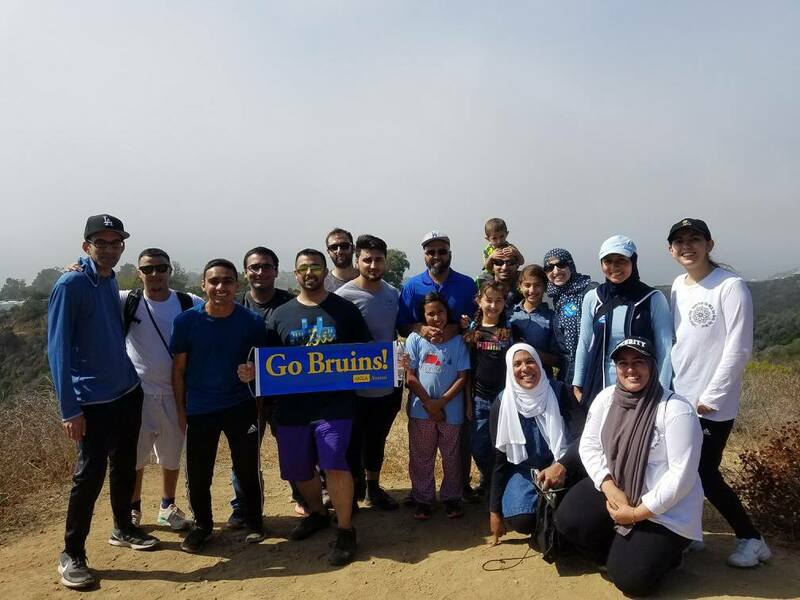 The year started off with an enjoyable hike organized by the UCLA MSA Alumni Association in Malibu. Then came the annual MSA Welcome Week Banquet where hundreds of UCLA Muslim students celebrated the beginning of the school year. I was introduced as the new Muslim Chaplain and was reunited with many students that I have come to know over the years in various community settings. Office hours ensued and dozens of students have reached out to discuss their life struggles and seek life counsel. I have enjoyed the many intimate conversations that I have shared with the Muslim student body. Indeed, it is most fulfilling when students express their gratitude for the time and energy you have spent with them to talk them through their challenges. I have discovered that college students are most receptive to Islamically-grounded counsel and, often times, will respectfully debate to ensure the counsel they are receiving is, in fact, rooted in the religion. Weekly study circles have been well attended and lively discussion is always a part of the agenda. The study circle that focused on mental health was co-sponsored by the Beautiful Minds Project and was especially well-attended and memorable. This was a 90-minute brief training that I provided on mental health basics. Another impactful session was when I was asked to present on the five pillars for an Introduction to Islam class offered by the Department of Near Eastern Languages and Cultures. The class was well-received and, as a result, one of the non-Muslim students signed up for office hours. After a few visits, this student embraced Islam, alhamdulillah. One of the highlights of this year was the Umrah trip organized by UCLA’s MSA over the winter break. I was blessed to be a guide/imam for the group and the trip was fantastic! Besides being spiritually uplifting, it was an amazing bonding experience for all who went. One of the many moments that will be forever seared in my mind and heart was being able to pray Salat-ul-Fajr on the roof of Al-Masjid An-Nabawi with Kareem from UCLA. What made the experience so amazing was that we were the only two people up there (we snuck up the stairs and found an open door ☺)! UCLA is my alma matter and serving Muslim students where I attended 20 years ago has proven to be a very fulfilling endeavor indeed. Praying in the same space, spending time in the MSA office, and visiting three former professors that I studied under two decades ago has been quite nostalgic to say the least. I hope and pray that I will be able to serve the Muslim students at UCLA for many years to come.